Travel Discounts - Mobile Travel Coupons are good for discounted dining, city travel, tourist attractions, and gifts. 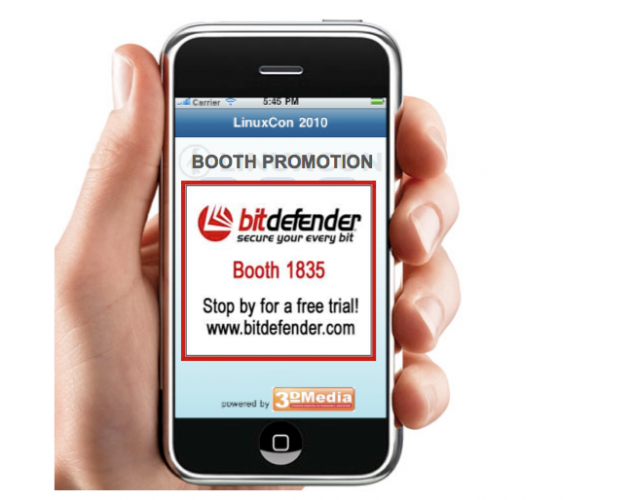 Send digital coupons to guests’ cell phones and smart devices during the conference. Custom Branding - Mobile Travel Coupons are completely branded for each sponsor and event. This Includes landing page and individual coupons, pre event emails and show site signs. Each time a mobileCOUPONS is viewed, your show's and sponsor's branding will be seen. Cause Marketing - Mobile Travel Coupons are time sensitive. It’s morning, wouldn’t your guests like to receive an offer for a free coffee at the nearest Starbucks, up pops your mobile coffee promotion on their phone. It's the last day of the show - time to travel to the airport- up pops a 10% mobile taxi discount on their phone. Booth Traffic - Mobile Travel Couponsare great for in-booth booth promotions and booth traffic crowd sourcing too. One example, the first 100 guests to your booth are entered into a chance to win a free trip. Advertisign Features - Pre-event, attendees are emailed a link to access mobileCOUPONS. During the conference, signs invite guests to text or scan a QR code for access. A new prospect is identified on the show floor, the sponsor can immediately send Mobile Travel Coupons to them. Mobile Web Site – including custom branding & sponsor messaging, Show Floor Signs – design, production & installation, Pre-Event Email Campaign – design, production & installation.